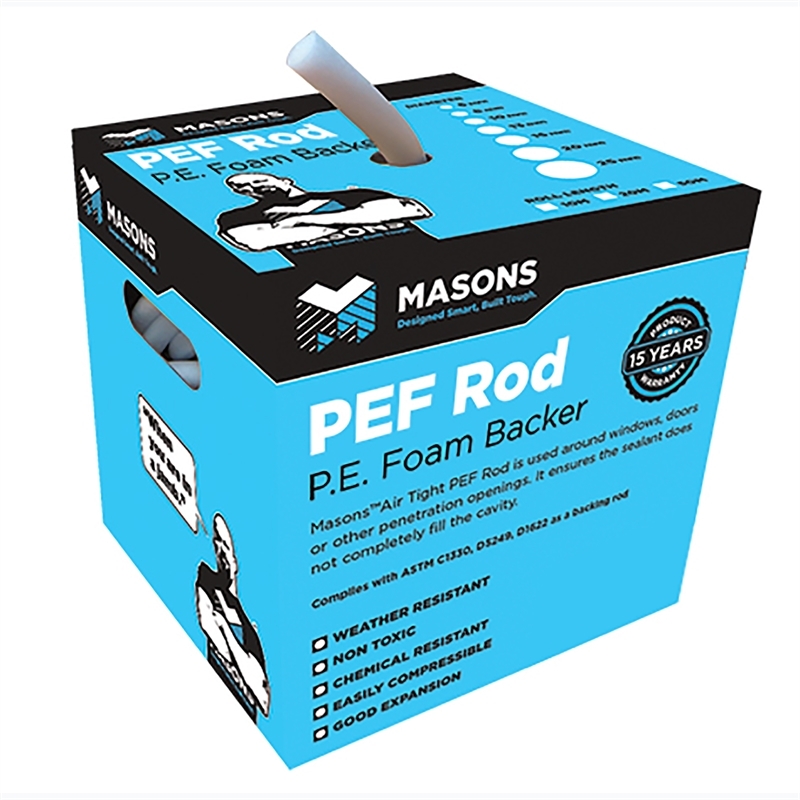 Masons™ PEF Rod is a cylindrical flexible closed cell polyethylene material, available in various diameters from 6mm to 50mm. 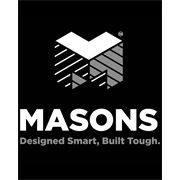 Masons PEF Rod is used around windows, doors or other penetration openings. It ensures the sealant does not completely fill the cavity. Limits the amount and depth of the sealant applied into the joint. Acts as a bond break to allow joint movement without undue stress to sealant. Acts as a barrier to the flow of sealant through a joint. Will assist in providing an around the window frame and penetrations through walls. For use with pre-cast concrete slabs and joints between brick and masonry.